Zane Mandisi Maqetuka was born in Graaff-Reneit 1984, he then later moved to Durban to study Information Technology, and then he worked as an Engineer in Cape Town where he studied film making and business science. All this happened before the passion of modeling came to sight, he is currently staying in Cape Town. He started modeling professionally in 2006. He is inspired by the world of high end fashion and branding advertisement. 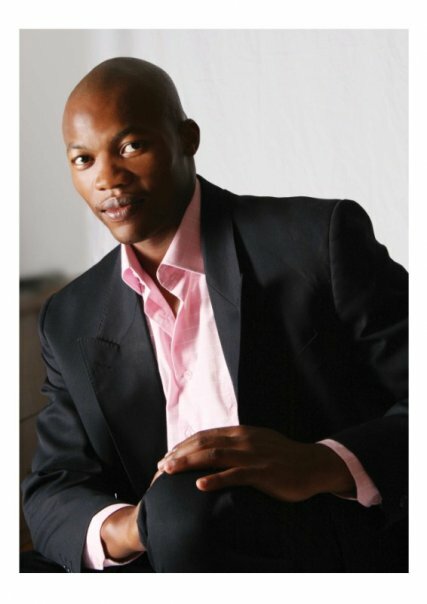 He says, “I have always wanted to hit the runaway in fashion designers garments both locally and internationally”, continued Zane, “And I have always wished to be the face of brand endorsements and become an influence to the target market.” Entering a big competition such as Mr SA is something that most young South Africans do not dare to do. But when it comes to Zane we are singing a different tune. He says from an early age he wanted to represent his country in sport and pageants’, so by this he felt bravely and ready to enter Mr SA as a participant. Like any competition there are challenges to look forward to. He said it was not easy to make the top 38 out of thousands of men who had the same desire to be part of the competition like him. Thus he prepared himself physically, emotionally and psychologically. His motivation is rooted from both his mother and grandmother, “I want to make them proud and be the leader of the nation that they desire me to be in everything I do.” He said. One can think that there is a very huge difference between male and female models, with females though, most of the time it situates to an obsession, anorexia is an example. So Zane’s opinion based on his male model perspective, he says modeling life has its ups and downs like any other industry or business for that matter. He dwells, “Modeling life is all about looking good, eat well, dress well and make sure that you in shape and relevant all the time,” pushed Zane, “You need to have a flexible personality and be able to accommodate different clients that you work with…” He assured. He agrees that modeling does lead to obsession on good looks and to maintain a great modeling state is expensive. Because you get to pay for gym, new fashion trends and travels to accommodate castings etc. Above all the industry has thought him to take care of himself inside-out. He got the results of reaching the top 15 from the Mr. SA office. He said they judge you on the blog that you created for the competition, the votes and they also judge him based on his leadership qualities, and the fact that he can host events and initiate fundraising projects. His vision of success that he carries in whatever he does, say, where he goes, making sure that he stays humble and grounded in the public domain are all elements that keep him strong, balanced and focused as a person. On handling the spotlight he says, “I am never on the spotlight; never let the attention that I get prevail my principles”. His advice to young guys who want to be models is that they must be true to themselves, by questioning if they enter the industry for fame or to make a sincere career out of it. He also suggests that one must have something to fall back on when the industry is high and dry. He, “It can be tough and go without any revenue for months”. He was in the top 100 HEAT magazine in 2009,Face of Polka.com, Face of Samsung, Face of Watson shoes, Golden Arrows and Metro buses on Billboards, magazines as well as newspapers. Has done commercials for Puff Daddy’s Ciroc vodka brand, Italian national lottery, Herbex, Coca Cola to mention but a few, this also includes fashion shows for various brands such as Pick n Pay clothing, Strato wear and Canal Walk clothing brand. He has acted in various short and long format films such as Malunde, Red Dust, Zombie, Ithemba, Forgiveness and Zim. 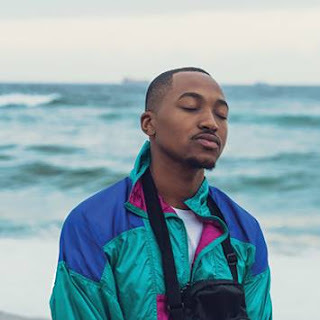 He is currently directing and producing his own mobile show called Zane ke Bozza. He says, “It is a four minutes play per episode and the audience will get to see me discovering myself through other peoples’ worlds” He urged. “I’m a potent socialist that believes in handing out a hand with the little that I can” he concluded. Story By Helen Zondi (Interview) Buchule Raba (Writer).